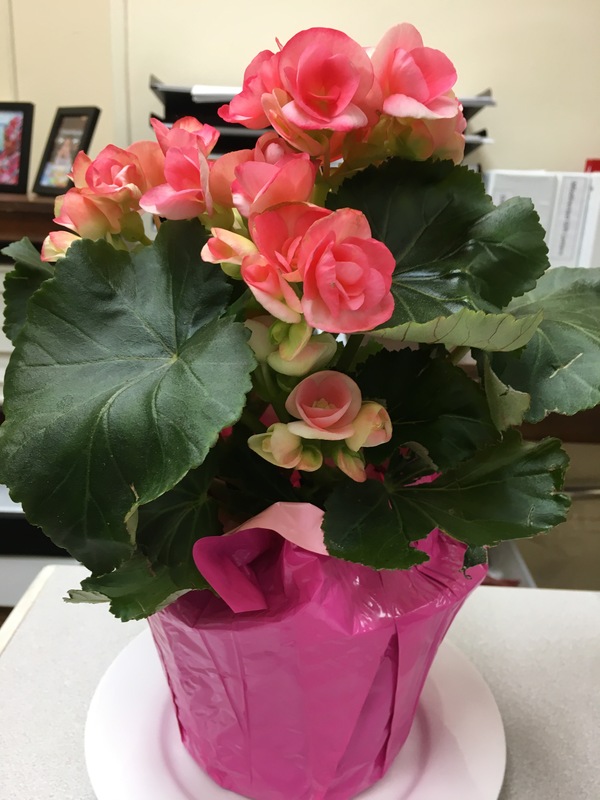 This morning, a co-worker gave me such beautiful flowers for Mother’s Day [that is this weekend]. I love flowers! The best part about these particular flowers? They are to be planted… and I can’t wait to see them bloom. Happy (early) Mother’s Day to all the Mama’s! I hope we Mama’s use this day to reflect on a nd celebrate our child(ren) that made us Mama’s. My Arham is the biggest blessing/gift from Allah, and it’s just not possible to put into words… but something that I reflect on a lot. A few weeks after Arham was born, when I posted his first picture on social media [from his aqeeqa], I wrote my feelings of how Arham “... gave me the proudest title: I became a mama. Each day since you have brought more smiles and joy to me than I could have ever imagined.”… and it is something that my Arham has proven to be true an infinite times over. I have never been more proud, and he brings such an indescribable joy that leaves me in awe. As I mentioned previously, while I never imagined working outside of the home when he was at such a fundamental age… what I have learned is this: being a mother is the hardest, but yet the most rewarding role I have ever had in my life. It makes me who I am, and it’s what I am most proud of. So many people say don’t let becoming a mother change or define your identity. I understand they mean it in a positive way, but if you think about it … how can it not? Arham has changed my life, making it infinitely better, and so fulfilling alhumdulillah. It was right around Mother’s Day in my pregnancy that I had the scare, and wondered if I would even get to hold Arham in my arms. I can’t begin to describe what the uncertainty felt like, but if anything– all the time since has been a constant reminder to not take even a moment for granted. I pray Allah SWT protects my Arham and guides him to be the very best version of himself.